I already wrote an article on How to setup or confiqure ZTE ZXDSL 531B Modem For Bsnl Broadband and has got a very good response on that. 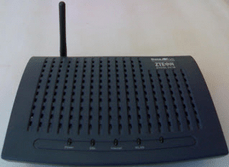 Now Configure ZTE ZXDSL 531B Modem for Reliance Broadband. Few days back i applied for the Reliance Broadband and they provide me with the small ZTE ZXDSL 831 Modem with only one Ethernet Port and without WI-Fi. But this single Ethernet can not provide me with my requirements as in my office i have 3 laptops, 2 PCs and 3-4 Wi-Fi enable Smart Phone. So i think of using my old ZTE ZXDSL 531B Modem for this purpose. I searched a lot to confiqure my ZTE ZXDSL 531B modem for Reliance Broadband. But after a 2 day search, i did not get any perfect solution. After two days of working on this modem, i finally confiqured this modem and now running internet using it on 8 devices with both WI-Fi and LAN. This configuration will work on all modems. 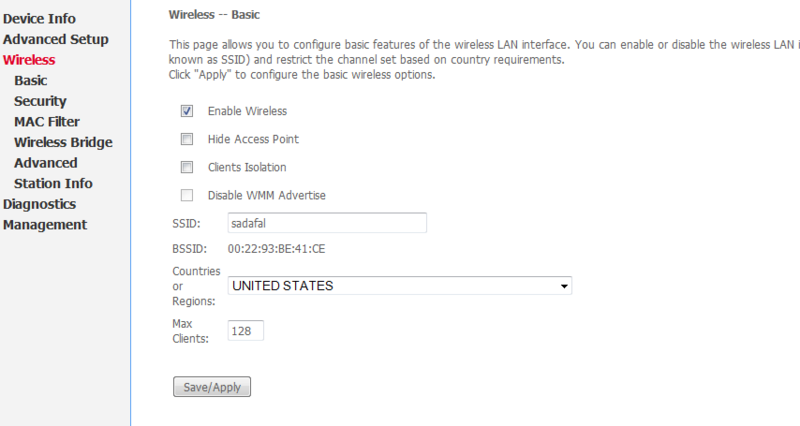 You just have to configure your modem with the same configuration that i have done on ZTE ZXDSL Modem on this article. So I thought of sharing the same confiquration to setup ZTE ZXDSL 531B Modem for Reliance Broadband. First you need to reset your modem, for this plug in Power Adapter to your modem. Then On the back side of your modem, search out an odd Circle Hole. There is a reset button inside this hole, you need to press and hold this button for 10-20 seconds. You can use small safety pin for this. Plug-in the line from splitter to ADSL Port in modem and line from adapter in POWER. You can setup the modem by connecting it through LAN or WiF. When connected your pc with lan or by wifi. Now Select MAC Encapsulation Routing (MER) as shown in figure. And then click on NEXT. Now check all the Boxes as shown in picture below and click on the NEXT. Now you need to Click on The SAVE Button to Save your Configuration. Save changes and reboot the router, after reboot you should be automatically connected to the internet. Now if your Wireless conection is disable, you can enable it by checking the ENABLE WIRELESS in the WIRELESS section of modem. Select your Encryption Strength: 64 bit recomended and enter the Network security Key whatever you want but keep it remember. 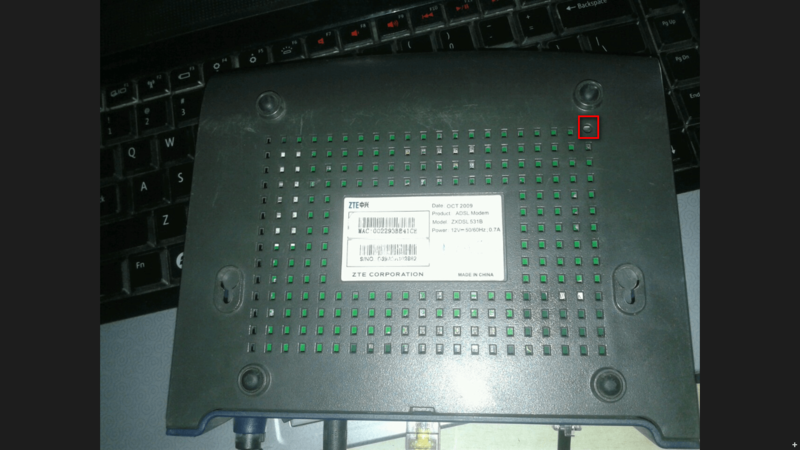 If you still have any problem on ” How to configure zte zxdsl 531b wifi modem for reliance broadband”, you can ask it in comments. We will reply you within 10 hours. Where do I configure username and password here? Because my reliance connection doesn’t work without the username and password. Very valuable information, Thanks. I have also reset my ZTE Modem.Thanks again. U r ultimate. i m using same router on BSNL broadband …. pls give info or step to change a network name and password…. 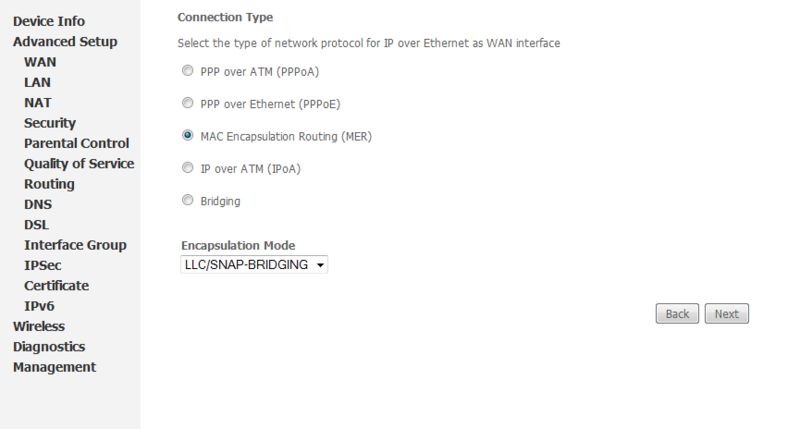 Then Select MAC Encapsulation Routing (MER) as mentioned above. Can I use this modem for my Airtel Broadband…? Yes, You Can Use ZTE ZXDSL 531B Modem for Airtel Broadband. i tried all that and its not wrking…..
i have a dlink modem plus routerand a reliance broadband….. I have the same ZXDSL 531B, but I am unable to configure this with reliance. My problem is the default ip of this modem is 192.168.1.1 and I guess reliance uses the same. So, when I access my modem I have to take out the reliance cable from the modem to reach to the administration page of my modem. So I can’t get the broadband login page (http://reliancebroadband.co.in/reliance/login.do) of reliance while configuring the modem and vice versa. So I Changed the default ip of my modem in order to have access to both at a time but so far I have been unsuccessful. I have changed the ip and subnet mask in almost all possible ways. What really happens is I can access the broadband login page from multiple systems (http://reliancebroadband.co.in/reliance/login.do) but once logged in, the other system doesn’t connect to the internet but redirects me to the broadband login page again(http://reliancebroadband.co.in/reliance/login.do). So If I login here I get the typical error of the session being not disconnected yet and force me to have access to the internet from only 1 system. Please help me out and do let me know if you have additionally configured any DNS,DHCP or anything else. Thanks! 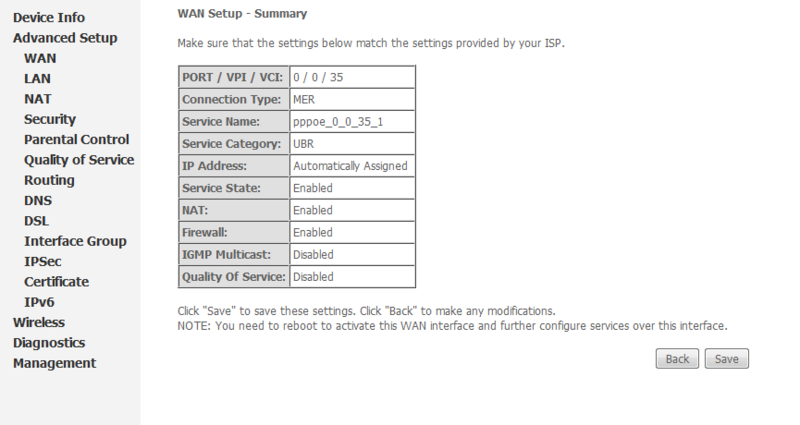 Hi guys… Thanks for the useful info about configuring the router. However, is there any what to avoid logging in through the browser every time I need to connect to the internet? Like making the router remember and login for me and I just use the password for WiFi? Help appreciated. Thanks. Hi i have a ZTE ZXDSL 531 B modem can i use it for Reliance broadband and what speed can i expect if Reliance is giving 1 mbps plan to me…please reply urgent i need to make decision. Cab you tell me how to configure reliance broadband to zte zxdsl 831II ? Can you tell me how to configure reliance broadband to zyxel p-660hw ? try changing the ip, may be you also need to enter ip in your phone. Hi Dharmesh, I have zte zxdsl 831 II modem which I am trying to configure with i-ball Baton 150M extreme router. My internet works fine when directly connected to my computer but if I connect it with my router, after working for few hours, I lose wireless connection with error “Self Assigned IP”. After research, I figured I have to set up a bridge between router and modem. I might be completely wrong and I am completely lost here. Please help! today i just got broadband of reliance in jaipur. i want to use wifi modem but i couldnt able to use wifi. i have a wifi modem of beetel which i got when i had a connection of airtel broadband. please help me to configure this modem in reliance broadband. Bro i have tried this with my BSNL ZTE modem, i don’t know about beetle. But you can try the same settings in Beetel modem. I think it will work. I have set this modem for reliance broadband in jaipur as per your steps. It works fine both on lan and wan. Problem comes here that I have one more modem and me using it in Hyderabad location for Beam fibre broadband, which is as same as reliance, it also needs a user id and password to enter for internet. I have done the same setting for the same modem as one working with me in Jaipur. As you have said many times that the login page asking braodband provider setting will be same for all. But I am not able to access internet here. When I do enter the cable directly in my lappy it works, but when I do same via modem, it doesn’t and via wifi it shows connected but that yellow triangle comes. Got fed up of this. Now please tell me if you could do something in this case. Can you let me know the model no and Model manufacturer name. I first need to check it then only i can help you. As you have asked for the modem manufacturer and model i.e. ITI DNA-a211-i is the modem in Hyderabad which is not working as it should be. Please let me know how to make it work for wifi uses. And the one, working fine in Jaipur is ZTE ZXDSL 531B. Thanks for providing your modem details, we will try to help you in configuring your modem with perfect setting, our team is researching to get correct settings for you. My modem causing me problem is ITI limited manufactured and model is DNA-a211-i. You can configure ITI DNA-a211-i modem same like ZTE ZXDSL , but you first need to get configuration settings from Beam Fibre. You can ask for configuration settings to their customer support. I was using this ZTE ZXDSL 531B on CONNECT INTERNET since 2009, it was connected to modem and was password protected now i want to change the password however every time i tried to open 192.168.1.1 then it opens my connect modem settings page which does not have option to change wifi password so i thought to reset it then i did it yesterday now the password is changed but weird problem is now my internet is working only for 1-2 minutes on wifi then it gets cuts off and tries to re-connect it for another 30 secs and then again connected for 2mins and the process repeats. Did you configure your modem correctly ? If you are able to access internet on LAN. Then you must try to enter IP and DNS , this may resolve your problem. Go to network and sharing center>> Click on your connected network.